So, maybe I am spoiled by Amazon and Zappos, but the last few days, I have been trying to buy a couch from JCPenney.com and have failed on 3 occasions. 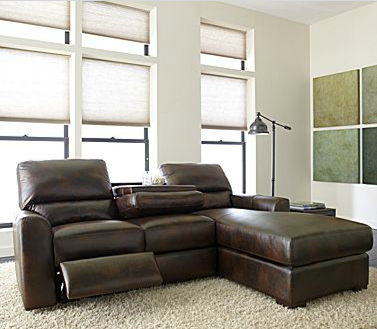 Here’s the thing, this is an awesome couch and it was on sale. But we need the chaise portion of the couch to be on the left when you are sitting down. But it was unclear to me how to order it. I either had to order LAF (left facing arm) or RAF (right facing arm). I had no idea what those two terms meant. Did LAF mean the chaise was on the left when facing it or when sitting on the couch? I was also curious about whether they delivered the couch inside our home or just to the curb. Simple questions right. 2-Pc. Chaise Sectional this weekend if possible. 1. When sitting on this couch we want the chaise to be on our far left. Is that the LAF or RAF version? 2. When shipping, will the couch be delivered inside to our living room? our best to have the merchandise available when you place your order. are not able to obtain additional quantities. item is removed from the site. to us and we appreciate your feedback. Here is the thing. How can it possibly take 4 days to respond to an email with a crap automated response? So, while they worked their email magic, I attempted to make two phone calls to customer service. Both times it took about 30 minutes on hold to get to anyone. Both times the customer service rep had zero product knowledge. They had no idea what LAF or RAF meant. They had no idea when the product would be delivered or how. Ultimately the first operator disconnected us while asking for help with the LAF question. Which was actually better than the second operator who managed to keep me on the phone the whole time. She clearly had no idea what RAF or LAF meant for the majority of the call and then I guess had an epiphany that I needed the LAF couch. The more I asked her question about how she knew, suspecting she was just making it up, the more rude she got. After all that, I went to Google and found out that LAF meant the chaise was on the left when you are facing the couch. This was of course the exact opposite answer that I got from the second operator, the only answer I got in 3 attempts. 2 phone calls, 1 email, 90 minutes of my life, and one answer to my question that ended up being wrong. JCPenney clearly is very committed to being the anti-Zappos. … so did you end up purchasing the couch from them? Did you ever purchase this couch? I am thinking about purchasing this and would love to hear your review on it. A follow up…JCP said that it can be set up eithe way. Ours will be here in a weeks, so I will come back and leave my comments as to how that all works out for me. Yeah, I purchased a shirt online from JCP recently and 2.5 weeks later, it still says “pending shipment”. No cust serv chat option; and phone is a PITA. On hold with an unhelpful nitwit; perhaps she’s walking around the office trying to find a random slip of paper with my order on it. First time I’ve ever ordered from JCP online; likely going to be the last time as well.